My clients want to ensure that their compensation programs provide for fair and competitive pay opportunities that are appropriately aligned with key business objectives, performance outcomes, and sound corporate governance practices. My job as a trusted advisor to compensation committees and management teams is to help ensure these objectives are achieved by providing effective program designs and advice that are relevant to the applicable client, supported by analytics, and meet the needs of all stakeholders. Bill Reilly is a managing director in the Atlanta office of Pearl Meyer. He is a senior advisor to compensation committees and executives on all aspects of executive and non-employee director compensation and advises clients on issues such as compensation philosophy, market pay assessments, pay and performance alignment, short-term and long-term incentive plan design, employment contracts and severance/CIC arrangements, competitive trends, and regulatory developments. 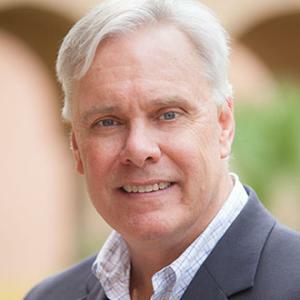 Prior to joining Pearl Meyer in 2011, Mr. Reilly was a consultant for 18 years with Mercer, most recently as a principal in executive compensation. Mr. Reilly received an MBA from Hofstra University and a Bachelor of Arts degree from Boston College. Six critical topics for compensation committees to cover in their second quarter meetings. This presentation covers data and trends in director pay and governance practices for the US and Europe. This presentation given to the NACD Atlanta chapter covers advice to directors as they plan for proxy season. Can You Manage Compensation Peer Group Disputes? How to manage discrepancies when the compensation committee and management don't share the same outlook on the peer group.